The idea of the Goose Lounge Chair, based on the Langue Chair, was to create a highly comfortable lounge chair that is small enough to fit into any kind of interior space. Its beautiful fabric and leather make it suitable for a hotel suite or complimenting a sofa in a private home. The soft seat is contrasted by two pointing oak veneer legs crossing beneath the seat. The legs are available in natural oak, dark stained and black. 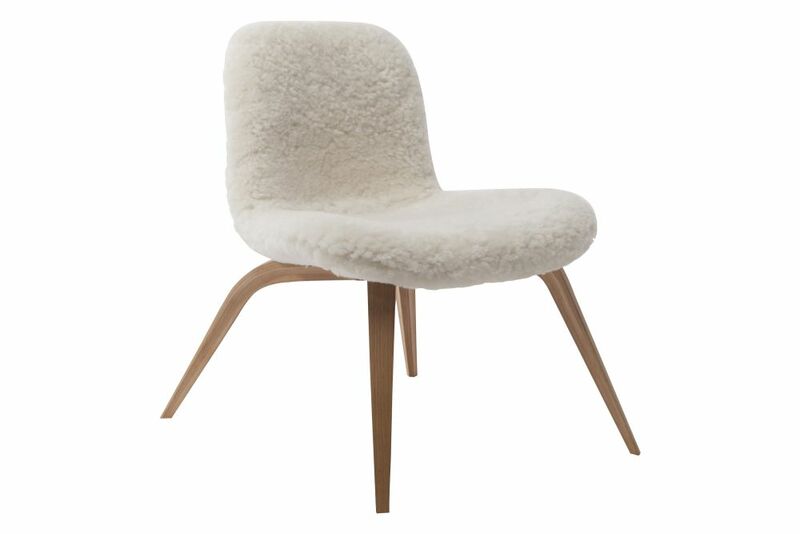 The wide range of upholstery options include our Vintage Leathers, Velvet, Sheep skin and various types of Kvadrat materials to personalise the chair.